More and more studies show that there is no link between the consumption of psychedelic drugs such as LSD and the incidence of mental illness. On the contrary – these substances could even be used as a therapeutic intervention. Two new studies have recently showed that psychedelic drugs have no adverse effects on mental health: in March 2015, the Journal of Psychopharmacology published a study by Norwegian researchers who were searching for a link between the consumption of LSD, psilocybin or mescaline, and the occurrence of psychological problems. With this in mind, they studied data collected from 135,000 Americans from 2008 to 2011 as part of the annual National Survey on Drug Use and Health (NSDUH). The authors concluded that no significant association existed last year between the lifetime use of psychedelics and an increased likelihood of serious psychological distress, psychotherapeutic treatment, suicidal ideation, suicide plans and suicide attempts, nor depressions and anxiety. Consuming psychedelic drugs therefore appears not to be an independent risk factor for mental illness. “The research suggests that psychiatrists should not have any prejudice against psychedelic drugs”, Teri Suzanne Krebs, lead author of the study, stated. “And if you have patients who consume these substances, it is not necessarily a bad thing”. One study published in the same journal by American researchers even goes one step further: their evaluation of the NSDUH data derived from approximately 190,000 Americans (2008-2012) showed that the lifetime use of psychedelic drugs is associated with a significantly reduced probability of psychological distress, suicidal ideation, suicide plans and suicide attempts. In contrast, the consumption of other illicit drugs was mainly associated with an increased likelihood of these psychological indicators. Concern that psychedelic drugs generally do more harm than good to mental health might seem, in view of these and numerous other studies, to be unfounded. “We do not claim though that no one has ever come to harm through psychedelics”, purports study author Dr. Matthew Johnson of Johns Hopkins University in Baltimore. “Anecdotes of LSD deaths can have great impact – but these cases are rare”. At the population level, the data stored suggests on the other hand that the harmful effects of psychedelics have until now been exaggerated, Johnson believes. The study authors are not alone in holding this opinion. In fact, substances like LSD seem to be much safer than previously thought. According to a ranking published in The Lancet in 2010 (OHS; Overall Harm Score), LSD and psychoactive mushrooms are with their overall harm score of 7 or 6 relatively harmless; the higher positions in the ranking are occupied by alcohol (OHS 72) heroin (OHS 55) and crack (OHS 54). Even tobacco with its OHS of 26 is much more harmful than psychedelic drugs. Furthermore, LSD even with multiple doses does not lead to physical dependence, and organ damage has thus far not been observed [Paywall]. 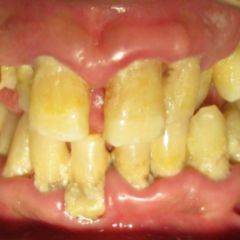 Contraindications do however exist for psychedelics, for example with patients having a predisposition to schizophrenia, because a psychosis may develop through consumption. There is also evidence that LSD when used in combination with lithium or tricyclic antidepressants can cause serious side effects such as seizures. The extent of the risk of persistent perception disorders after hallucinogen use (hallucinogen persisting perception disorder, “flashbacks”) remains a controversy. What’s more there exists little data dealing with the manifestation of so-called horror trips in a controlled therapeutic setting. As early as the 50s and 60s researchers found that a high dose of psychedelics leads to a mystical experience in which the subject experiences ecstatic joy and a comprehensive commitment to the world which reaches a point as far as the dissolution of the self – similar to a spiritual or religious experience. Such an experience is used in so-called psychedelic therapy as a starting point for the restructuring and health recovery of the personality. In psycholytic therapy on the other hand lower doses of psychedelics are employed to deepen the psychotherapeutic process and to increase its efficiency. Two studies published in 2014 suggest that increased suggestibility and empathogenic mood effects appear to play an essential role in the therapeutic use of LSD. The currently probably best studied indication for employing psychedelic drugs is in the treatment of drug dependency. 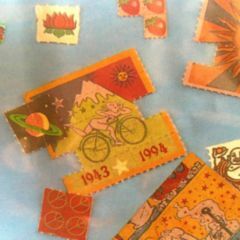 There are indeed legitimate criticisms of the methodology and validity of the early studies; one study published in 2012 involving a meta-analysis of six randomised controlled trials, however, comes to the conclusion that a single dose of LSD used as part of a program for alcoholism treatment was associated with a significant reduction in alcohol abuse. The effectiveness of one-time LDS intervention was comparable to the effectiveness of a daily dose of naltrexone, acamprosate or disulfiram. And even smokers seem to be helped by psychedelics: in a pilot study published in 2014 the tobacco abstinence rate resulting from psilocybin treatment used as part of cognitive behavioural therapy was 80% – more than twice as high as with conventional tobacco dependence interventions. Treating the anxiety and depression of terminally ill patients using psychedelics also seems promising. A US study published in 2011 showed that a single dose of psilocybin had a long-lasting positive effect on mood and anxiety with patients who had reached an advanced stage of cancer. The authors of the study conclude that the psilocybin treatment had led to an altered state of consciousness in which the patient experienced a transcendence in physical existence and had thus lost their fear of death. Patients also reported that their psilocybin experience induces a strong sense of empathetic rapport and had improved their relationship with close relatives and friends. Similar reports came out of a Swiss study published in 2014, according to which patients with a life-threatening disease had undergone three-months of LSD-supported psychotherapy. A follow-up study published in 2015 showed that the positive effects lasted up to 12 months. Psychedelic substances can also support therapy when used with a variety of other conditions such as obsessive-compulsive disorder and depressions, although the data situation here appears very thin. To make matters more difficult, the mechanism of action of psychedelics is as present still unclear: it is indeed known that the psychedelic effects of LSD and co. are mediated mainly through 5-HT2A receptors. How it might be that the activation of serotonin receptors becomes a mind-altering trip is something which remains unclear – as is knowledge about the actual contributory aspects of pharmacological as compared to the psychological effects in successful therapy. More randomised controlled trials are needed in order to correctly assess the potential benefits of psychedelic drugs, as well as the related risks. Rejecting any research in this direction for ideological reasons on the other hand does not serve patients well.